Printed Perfection – From retro plaid to demure florals, we’re obsessed with printed pants. Rock these bold threads everywhere – at the office, for drinks, on date night. If you feel intimidated by this trend, fear not! Highlight a color in the pants by wearing a top in a similar shade, like the red coat in the photo below. The rich red brings out the subtle hues in the roses of the pants, creating a look that stuns. Welcome to the Jungle – Camo is back and better than ever! Wear this trend with ease with a basic top and a slouchy sweater for a look that looks polished but feels effortless. Olive green is a top color this Fall and we love it. 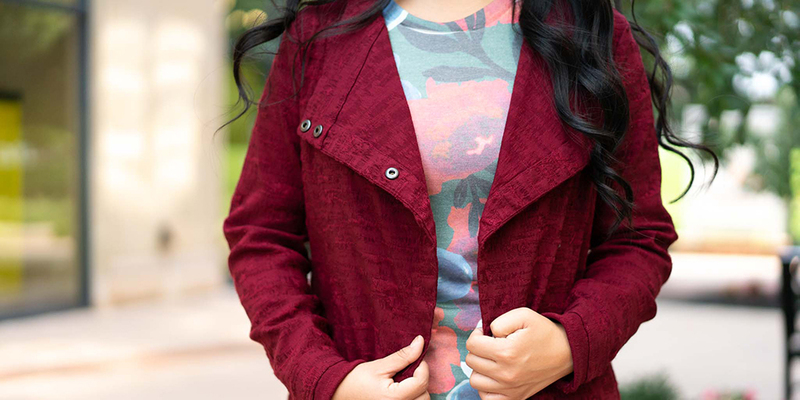 From a classic leather jacket to a trendy shift dress, this hue hits the mark every time. The best part – each of these trends can be dressed up or down with a few accessories. Lovely Layers – Layering is a quintessential Fall trend but every year brings a new twist to this classic. Whimsy Rose tops are at the top of this season’s must-have list. They’re comfortable, cute, and easy to wear. With so many prints to choose from, you’re sure to find the perfect top to compliment your Fall wardrobe. These tops are flying off our shelves, so get them while you can! 80s Mania – Some people believe that the 1980s was a dark time for fashion, but we think there were some fashion gems hidden behind all the shoulder pads and permed hair. We saw leather, ruffled sleeves, and heeled booties walking the Fall runways, announcing that the 80s are making a comeback. The Devil is in the Details – An accessory completes an outfit, unifying individual pieces into one cohesive look. This season’s newest gemstone is the geode! 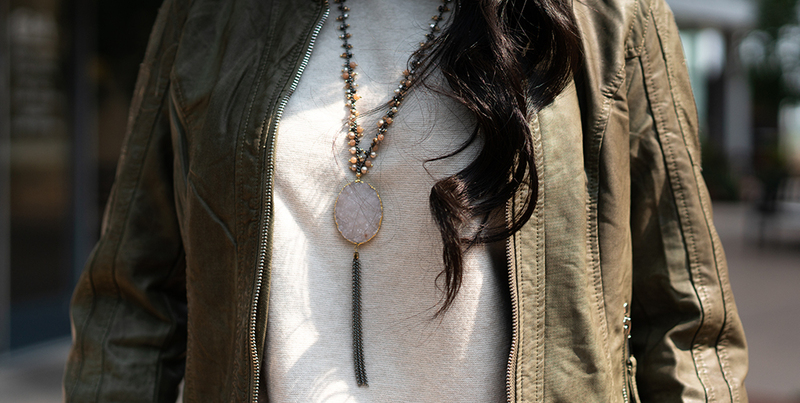 The raw gemstone adds mesmerizing texture and sophisticated sparkle to any outfit. Navigate wedding dress codes in style this fall! 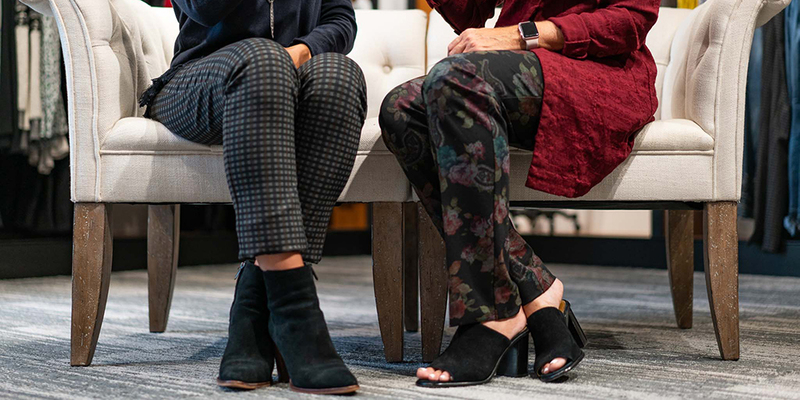 Explore the non-traditional colors of fall fashion.